Over the next few years, the handset industry will increasingly polarize between low-end feature phones and high-end smartphones, according to two separate reports released today by Yankee Group and Juniper Research. Yankee Group said that 41 percent of consumers in US are likely to choose a phone with an advanced operating system for their next device. At that pick-up rate, smartphone volumes will make up about 38 percent of all handsets by 2013 in North America. In the U.S., the average consumer has had four phones, which increases their likelihood of wanting to have more sophisticated features for their fifth device. While the smartphone trend increases in US, Juniper Research is forecasting that developing markets, like Pakistan, India and Bangladesh, will increase demand for low-cost handsets, reports cellular-news.com. 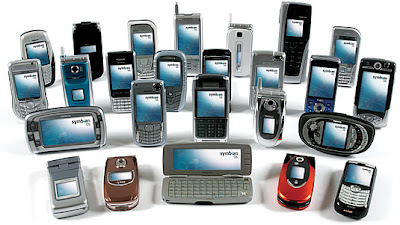 By 2014, annual sales of low-cost mobile handsets will rise by 22 percent to more than 700 million phones. Juniper predicts that the worldwide smartphone share will be grow to 27 percent of all mobile devices shipped in 2014 (up from 13 percent in 2008). Smartphones are becoming very famous. More and more powerful phones will be coming this year.